Our out-patient Article 16 Clinic provides therapeutic, habilitative, and clinical services. Support for children and youth under the age of 21 to learn new skills and foster independence. A helping hand for care givers supporting loved ones in their home. Reaching the potential of each person as they live as independently as possible in a home of their choice. Day time opportunities to learn new skills, build lasting friendships, and give back to the community. Preparing for competitive employment through experiential learning. Support through every step of the employment journey. Helping to answer the question, what’s next? Support for the leap from school to adult services. A Moving Experience is a modern dance troupe entirely comprised of adults supported by the Arc of Monroe and currently attending the Arc’s arts focused day habilitation program, Community Arts Connection. This diverse group of dancers performs for various audiences around western New York such as schools, community centers, nursing facilities and religious organizations. The group also enjoys giving workshops in creative movement and choreography for groups looking to move and learn in an inclusive environment. Want to book them for a performance? 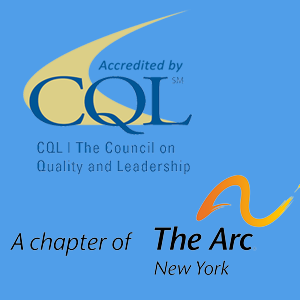 Call CAC at 585-672-2210. I love the positiivity Candice. The universe will open so many doors for you with that joy and genuine spirit you have. The residents at the Arc helped me find my joy too. I realized I was the best me when I worked with them. Then the doors opened and my life continues to be amazing. Keep inspiring others!!! 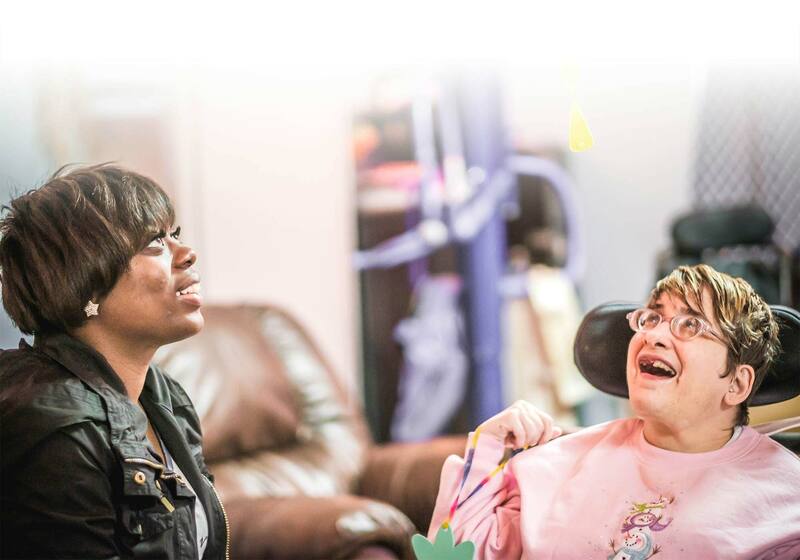 We’ve experienced great success at The Arc of Monroe in 2018 and we are proud to share some of those highlights with you in our Annual Report. Sandy Dillon, Residential Manager, is instrumental in making it possible for people who live in our residential homes to practice and celebrate their religion. Read how in our newest blog post. Religious practice and associated traditions is important to everyone, including people with disabilities. Our residential homes promote religious practice. I loved working in the ladies home. I read the Torah to them. • Over the next decade, an estimated 500,000 teens (50,000 each year) will enter adulthood and age out of school based autism services. • Teens with autism receive healthcare transition services half as often as those with other special healthcare needs. Young people whose autism is coupled with associated medical problems are even less likely to receive transition support. • Many young adults with autism do not receive any healthcare for years after they stop seeing a pediatrician. • More than half of young adults with autism remain unemployed and un-enrolled in higher education in the two years after high school. This is a lower rate than that of young adults in other disability categories, including learning disabilities, intellectual disability or speech-language impairment. • Of the nearly 18,000 people with autism who used state-funded vocational rehabilitation programs in 2014, only 60 percent left the program with a job. Of these, 80 percent worked part-time at a median weekly rate of $160, putting them well below the poverty level. • Nearly half of 25-year-olds with autism have never held a paying job. • Research demonstrates that job activities that encourage independence reduce autism symptoms and increase daily living skills. Please fill out the form below, and we will be happy to help you.